In the never ending quest in finding a set of rules for larger scale "mock battle" gladiator fights, I tried Ronin with Martin last Friday night at the Sutherland Shire Gamers. My previous attempt at using the now OOP Warhammer Historical set in my previous post at Mock Battles. Even though Ronin is meant for battles using Samurai in Japan, Craig Woodfield (the author) wrote a supplement in the Wargames Illustrated #318 (April 2014) called Gladius. This provides a conversion to Roman gladiatorial combat - not "one on one" fighting as such, but more for one group up against another group. Just as an aside, I bought a set of rules at MOAB many years ago called Gladius by the same author. At the time I thought they had a very clever combat mechanism that involved a pool of dice, and allowed for some tactical decisions in how those dice were used. It seems that those rules became Ronin, which Craig Woodfield stated (in the WI #318 article) that "Ronin started life as a set of gladiator rules". I can see a some similarities, but there are a lot of differences as well. Anyway, enough of this aside. There were 8 "Romans" (gladiators in legion armour) who were level 3 and wore heavy armour, they also had skill with the gladius which gave them a reroll (24 points each). 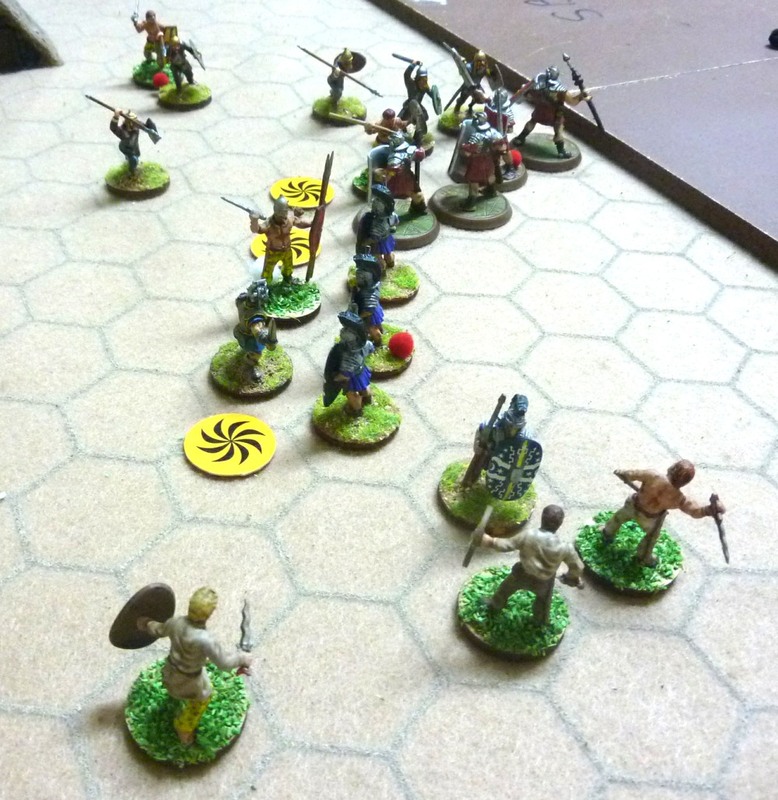 The "Celts" had 7 level 2 fighters in light armour (12 points each), and 5 level 2 fighters in medium armour (14 points each). 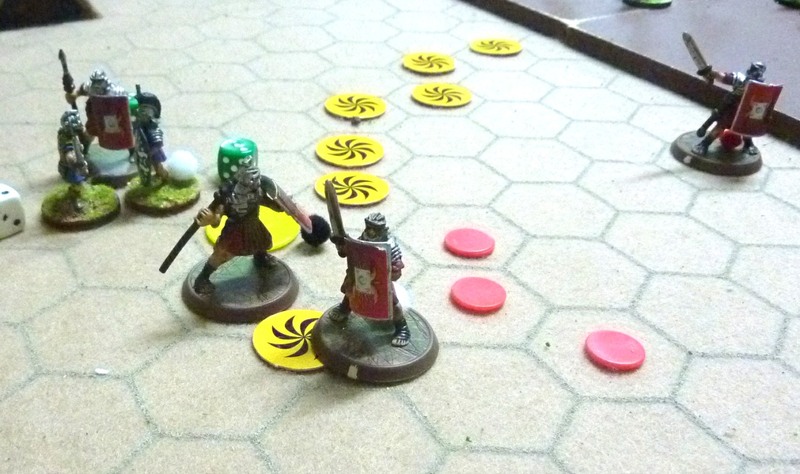 They also had an additional hero figure (al la Maximus), who was level 5, wore medium armour, had skill with the gladius, had Fast (bonus to initiative) and Intuition (boost to defence) for 38 points. So a total of 13 "Celts" and 192 points per side. Both sides rushed up against each other, with the Romans pushing up through their right to initially limit the superior number of Celts. 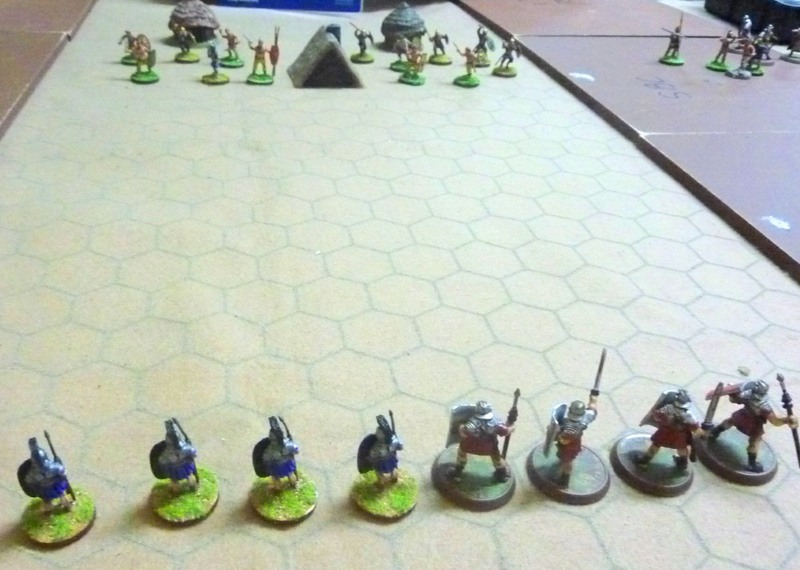 After a couple of turns, the quality of the "Romans" with the extra level, gladius skill and heavy armour made quite a difference - the celts couldn't really stand up to this unless they could outnumber. The Celt hero (who we called Russell), was quite capable in his own right. We actually found that Russell probably should have had the Inexorable attribute rather than Fast. He was winning the initiative anyway without needing Fast, and he would win a combat with pool dice to spare. In such open terrain, he could have been freed up for extra attacks in other areas. Below is the situation by the end. The Romans won. They only had 3 losses (all at the hand of Russell), and eventually, Russell himself was surrounded. I think the result could have been a lot different if Russell had Inexorable. However, the game did do what I thought it should - the Romans were superior to the Celts, and the Celt hero was superior to the Romans. The morale rules never came into play, apart from one Roman who was grievously wounded and kept failing morale to enter combat. 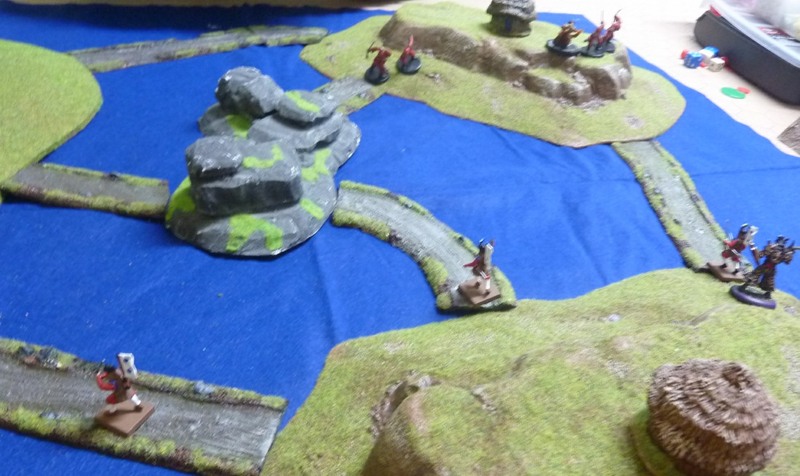 It was basically a small group of heavy armoured Samurai with a powerful leader (4 figures) needing to cross over bridges to get to the enemy (5 figures), who had no armour but were armed with yari (bow). They also had a very powerful boss as well (but also no armour). The game also took place at dusk, so line of sight was diminishing with the falling light. It was a close result, the Samurai were (as expected) very powerful in attack, but they took wounds from bowfire closing in, so that the lightly armoured defenders won at the end with 2 figures remaining. However, like the gladiator game, morale didn't really come into it, with both sides passing tests easily. Not sure if this was being played wrong somehow, or whether it is the intention of the rules that fights were often down to the last man. 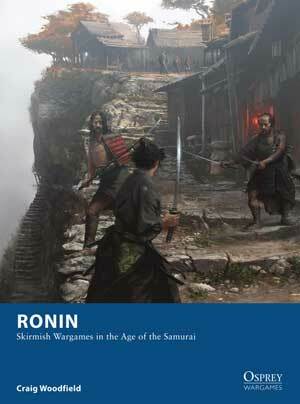 The Ronin rules were good, they provided for a fast game and simple mechanisms. This would make an interesting Spectacle for the Saturday at MOAB! If we can fit it in!